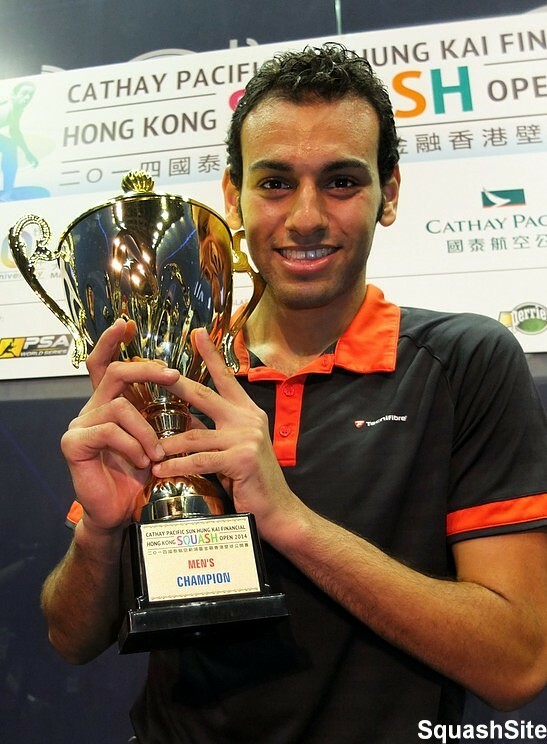 Egyptian World No.3 Mohamed Elshorbagy claimed arguably the greatest victory of his career to date, beating Gregory Gaultier in a 97-minute battle to be crowned 2014 Cathay Pacific Sun Hung Kai Financial Hong Kong Open Squash champion. 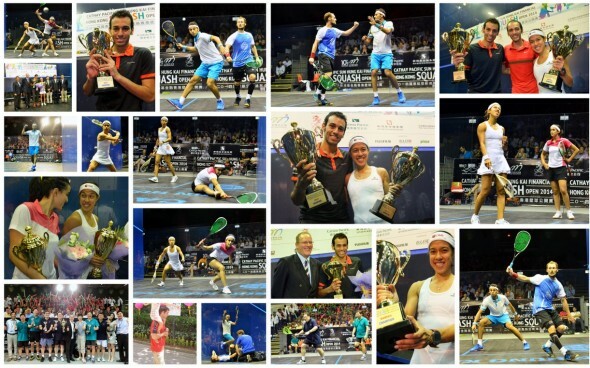 The Bristol-based man from Alexandria came through a tough, gritty encounter to win only his second ever PSA World Series tournament, after the 2013 Qatar Classic, inflicting a fifth Hong Kong Open final defeat on the World No.1 in the process in a result that left the talented star elated. “It feels great to be the champion,” said Elshorbagy. “I had a really good summer of training and to see all the hard work pay off in this way, to have won the Malaysian Open last week and to back that up here in Hong Kong, has been marvellous and I just can’t describe how I am feeling right now. 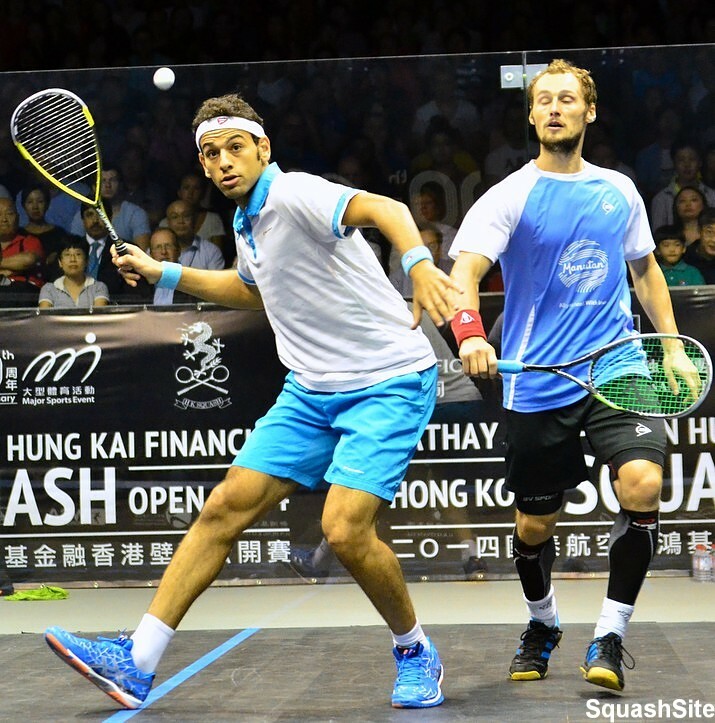 Elshorbagy raced into a two-game lead early in the match before the Frenchman, who cruised to the final without dropping a single game, levelled the scores at two-two to force the match into a dramatic decider that the Egyptian eventually edged, winning 11-9, 11-2, 4-11, 8-11, 11-4. 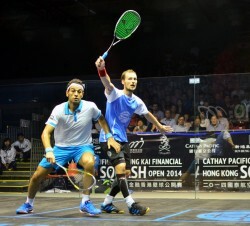 The deciding game had its share of drama when an accidental collision, that saw Gaultier sustain an ankle injury, halted the match forcing both players to re-focus and despite losing the first two points after the resumption of play, Elshorbagy managed to regain the ascension and withstand a second spirited fight-back from Gaultier. 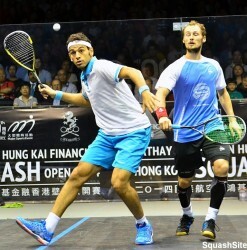 “When we play each other we always seem to raise our game and after going 2-0 up Greg definitely improved for sure,” said Elshorbagy. “I could sense he was tiring at the start of the fifth game and it was very hard to refocus after the injury break especially as he came back very strong. 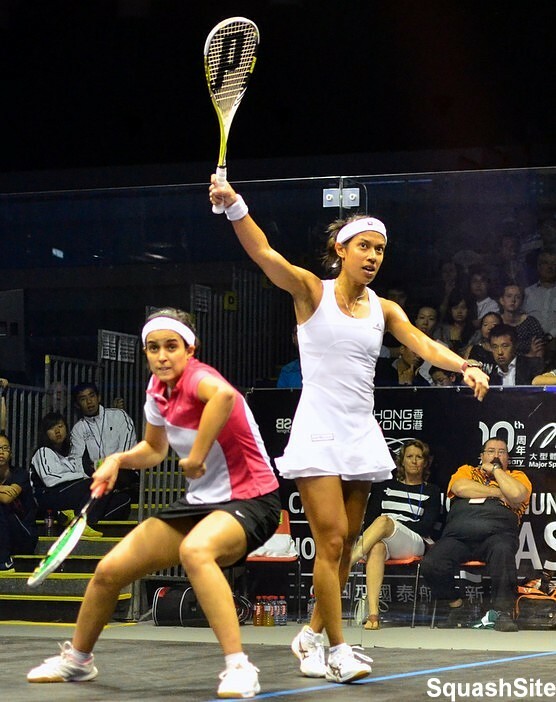 I lost a little bit of concentration and lost the first two points, but I had a couple of lucky bounces which got me back into it and that was important. 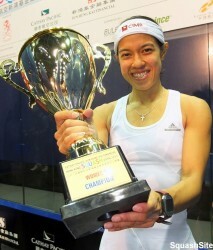 Malaysia’s formidable squash player Nicol David today marked a tantalising trio of metric milestones in the climax of Cathay Pacific Sun Hung Kai Financial Hong Kong Open today – winning the WSA World Series Gold title for the 10th year in a row; clinching her 50th straight match win in the former British colony; and notching up the 75th WSA World Tour title of her career! David, the world number one since August 2006, arrived in Hong Kong having suffered a rare semi-final defeat in a WSA World Series event – a four-game loss to Egypt’s world No3 Raneem El Welily in the Malaysian Open which denied the 31-year-old from Penang a 12th successive appearance in the final of her home country’s principal event. But, true to form, David bounced back in Hong Kong – dropping just a single game en-route to the 94th final of her career. 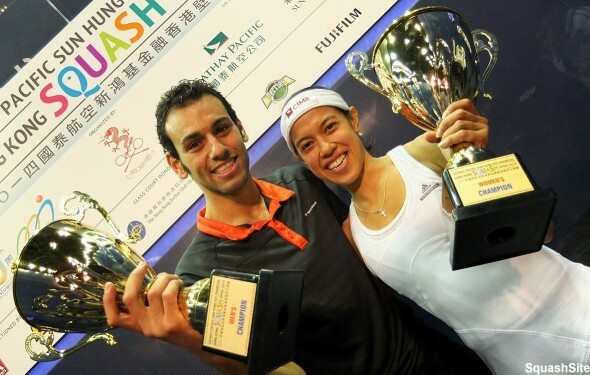 Her unexpected opponent was Nour El Tayeb, the No16 seed from Egypt who had resumed her giant-killing exploits last week in Malaysia to knock down the second, fourth and fifth seeds in Hong Kong to reach her second unscheduled World Series final in a week. 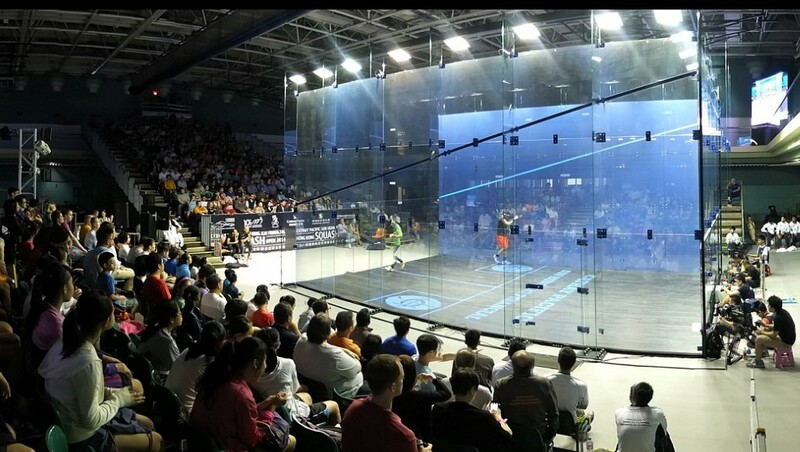 But, despite taking David to game balls in the second, the 21-year-old from Cairo was unable to penetrate the top seed’s armoury as the Malaysian marched through to a resounding 11-4, 12-10, 11-8 victory. “I’m really pleased to win 3/0 and win in Hong Kong again,” David told www.squashsite.co.uk after her triumph in 39 minutes on an all-glass court erected in the Hong Kong Park Sports Centre. 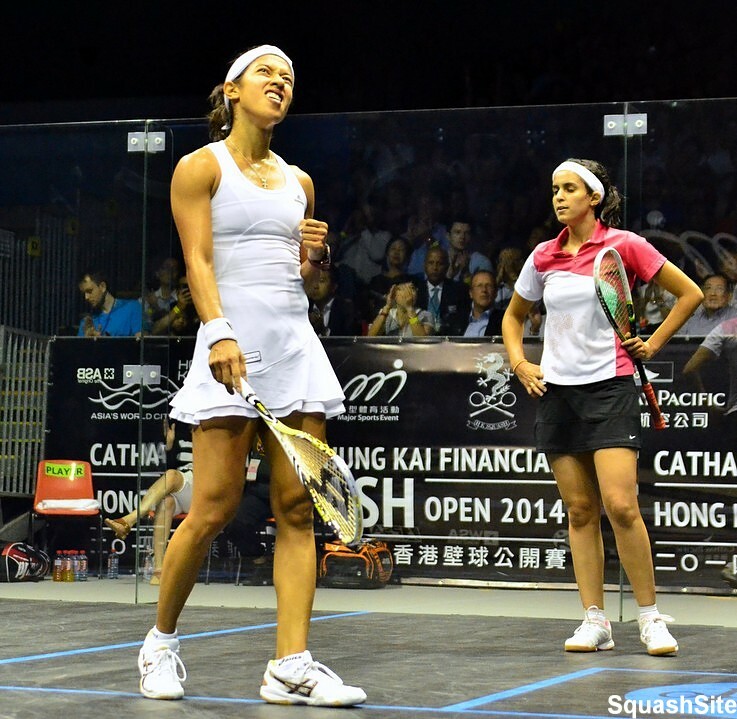 “It was crucial to win the second and not give Nour confidence and play her rhythm because she’s proven why she’s in these finals. I knew I needed that second game and then took it on full speed in the third game. 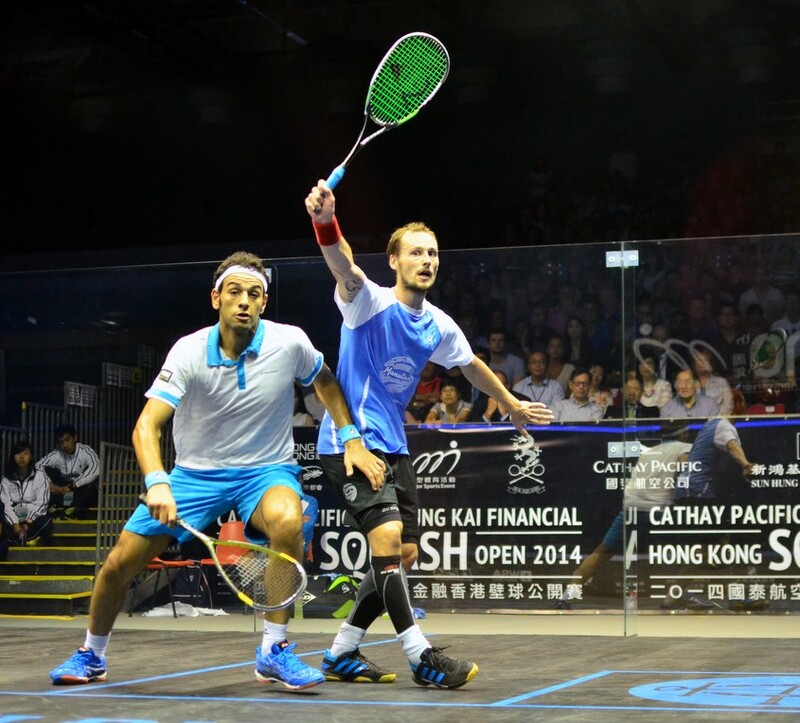 “I lost last week in Malaysia, but I always enjoy it here in Hong Kong and it’s especially nice to win here again after last week’s disappointment.